Paying off high-interest credit card debt should be a top priority — even if the big banks' decision to raise their prime rates doesn't directly impact credit card rates, says a credit counselling expert. 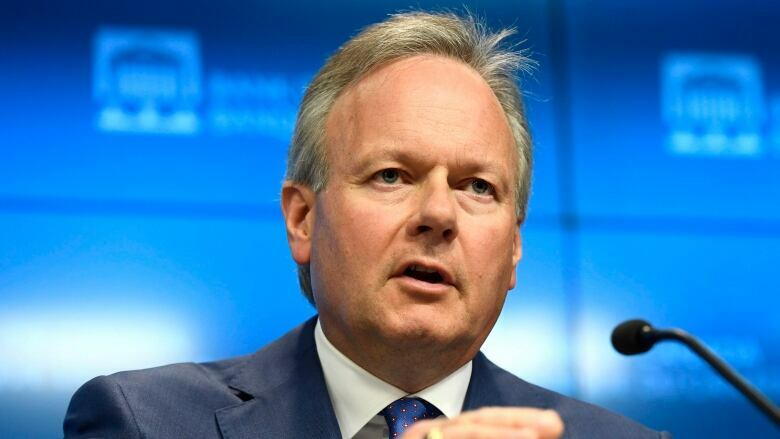 The Bank of Canada's latest rate increase has raised the cost of borrowing as well as the importance of paying off debts. Credit cards often carry interest rates in the double digits, some of the most crippling in the debt world, so anyone carrying a balance on one should make it their top priority to pay off — even if the big banks' decision to raise their prime rates doesn't directly impact credit card rates, said Credit Counselling Society president Scott Hannah. "If a person is regularly carrying a balance on their credit card, that's a problem," he said. About 44 per cent of Canadians are $200 a month or less away from financial insolvency, according to accounting firm MNP. Credit agency TransUnion said earlier this month that average non-mortgage debt stood at $29,312 per person, including an average credit card balance of $4,154. But about half of Canadians pay off their credit cards each month, so the burden is actually much higher for those who don't. Tackling debt can seem daunting, and many consumers choose to ignore the problem by paying only the monthly minimum, but an honest financial self-assessment and some planning will pay dividends in the long run, said Hannah. The first step in taking on messy finances is to draw up a workable budget, with reasonable spending cuts, that's not too restrictive, he said. "If your morning latte is a must-have, keep it, and look for other areas in your budget to scale back on." Long-term planning and patience is important so that you actually stick to a plan. That includes putting money aside for expenses such as car repairs so that they can be paid with cash, rather than using a credit card and restarting the debt cycle, he said. "It's why so many people fail with their New Year's resolution to get out of debt real fast. It doesn't work." Reducing credit card debt also requires a personal strategy regarding how they're going to be paid off, especially since the average client has four or five credit cards, but Hannah thinks it's important to pick the card with the smallest balance and pay that off first. "Getting that win under your belt is really motivating." Consolidation loans are an option as they will provide a single lower rate of interest, but Hannah recommends waiting until you establish a track record of sticking with a budget, which could take months or years. Too many people get a consolidated loan only to dip into credit cards before it's paid off, due to an emergency or perceived need, so the track record is important, said Hannah. "It takes a while if you've never done it before, to use a budget. You're going to make mistakes," he added. Establishing a proven budget and payment plan could also make it easier to get that consolidated loan once the groundwork has been laid. Online loans from less established lenders may appear to offer a seemingly cheaper rate, but Hannah warns that consumers should carefully review the terms. Actual rates can be much higher than those advertised, and can carry hefty penalties for things like late payments, so borrowers should be extra wary of the terms. Transferring balances to a low-interest credit card can cut interest payments, but doing so often triggers a balance transfer charge. The approach also still relies on credit cards, which Hannah says people need to give up altogether until they get out of debt. Sticking to a budget also means checking in regularly on progress, seeing those balances clock down, and having patience with the process, said Hannah. "Along the way you'll have a few setbacks, because life is just cruel, we all have setbacks, so you have to be able to manage through those pieces."